“Here’s another experience I want to relate to you from my early formative years. Back in those days, bands would travel around and stop in every little town at every little radio station to promote their records. Sometimes, they’d do a live show of thirty minutes or so. Once, back in the 40s or early 50s, Webb Pierce came to Coleman. He was on his way somewhere else to play but stopped in at KSTA Radio to promote a record which I believe was “Wondering.” My mom took me and my younger brother out to the station to see him. I can gauge the year by the fact that I wasn’t old enough to drive yet. (A side note…my mom was a helluva piano player and she loved music almost as much as anyone I ever knew.) Anyway, she took us out to the station and we watched their show through the control room window. There was no one else there besides the DJ. I often wondered where everyone was. Perhaps they were working and couldn’t get away, as it was in the middle of the afternoon. At any rate, for whatever the reason, we had exclusive access. I distinctly remember the members of Webb Pierce’s band that were there that day: Jimmy Day on Pedal Steel, Tillman Franks on standup bass, Faron Young on rhythm guitar and fronting for Webb, Floyd Cramer on piano and Tommy Hill on fiddle. Webb Pierce was known as the “KING OF HONKYTONK BLING” and this now famous car was lined on the inside with silver dollars while the outside sported a set of longhorns and pistols for door handles. Because I LOVE music and all stories relating to music, I had to reblog this post written by Andrew Joyce. This is a true story that he’s included in his latest book, “Bedtime Stories for Grownups,” a compilation of short stories. Take a peek at his by-chance meeting with Johnny Cash and Kris Kristofferson! 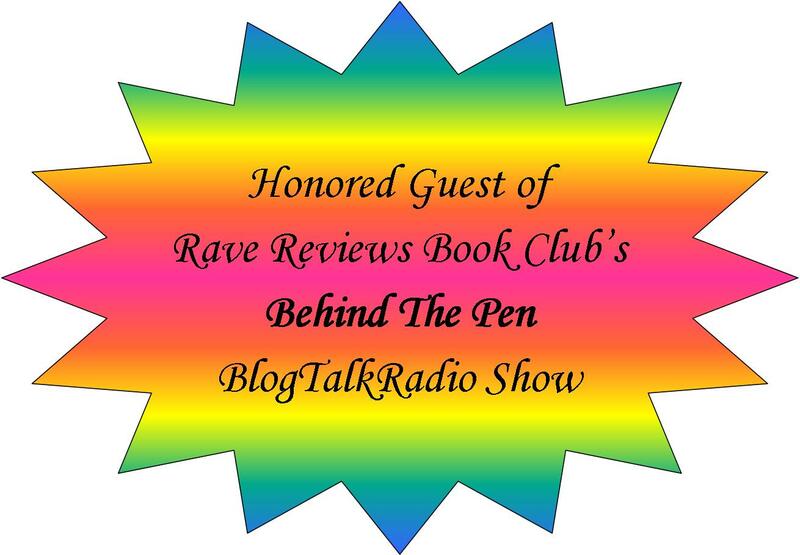 Suzanne Burke is a member of the RAVE REVIEWS BOOK CLUB. Award-winning novelist and singer/songwriter Mike Blakely has published 18 books, released by major New York City publishers. And now he has a new CD release which I had the pleasure of reviewing. Nothing describes Mike Blakely’s vocal and songwriting style better than straightforward and genuine. Listening to his new CD, Keepsake, is like going on an easy rambling trail ride. Mike’s “no frills” music touches something deep inside. Larry Nye (Guitar), Kurt Baumer (Fiddle), Duke Davis (Upright Bass) and Shane Lively (Drums) accompany Mike on Keepsake, while Annie Blakely, Walt & Tina Wilkins and Larry Boyd sing backup vocals. The album begins with a poignant song, “A Town Called Paradise,” written by Blakely and Ken Garrett. It is the perfect escape song. “My Same Old New Mexican Dream” is a clever play on words. “Easy Ramblin’” is all about slowing down. “Moonlight Colorado,” captured me completely. The melody and words weave a tantalizing dance. Written by Jeff Posey and Walt Wilkins, “Skipping Stone” is sweet and tender. “Miranda’s Warning” is a haunting melody. He should have heeded Miranda’s warning. “The Island with No Name” has a Mexican flare and features Larry Nye on the acoustic guitar. The album ends with “Don’t send Flowers” and is the longest track on the CD at five minutes. Wistful poetic lyrics weave a wish. I honestly don’t think I’ve ever heard a more authentically beautiful song about death. If you enjoy listening to lyrics that have meaning, tell a story or carry a message while the melody flows like a cool mountain stream, you will enjoy Keepsake. AND, Mike Blakely will be our speaker and entertainment at the Texas Authors Institute of History Fundraising Gala at The Main Street Gardens in Dallas on October 6th! 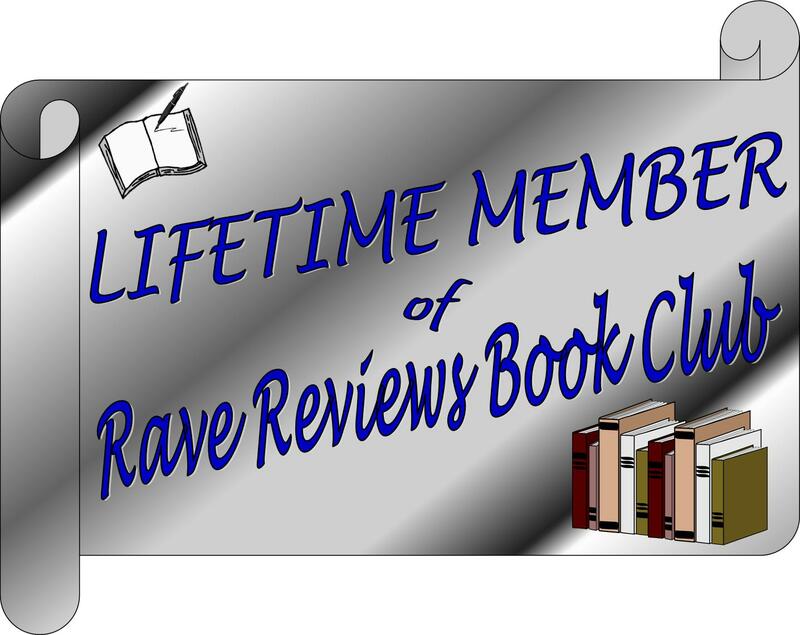 One of the most incredible and uplifting benefits of a membership in the RAVE REVIEWS BOOK CLUB is that other members promote and uplift their fellow authors. And, nothing does it better than a Pay-It-Forward day. So, today, I set aside all self-promotion to introduce you to #RRBC (RAVE REVIEWS BOOK CLUB) and #RWISA (RAVE WRITERS – INT’L SOCIETY OF AUTHORS) Author, Stephanie Collins. She has quite a story to tell. Her book, With Angel’s Wings, is a deeply moving and personal memoir. This is the raw and honest recount of Laura’s unexpected journey into the world of parenting a medically fragile, special-needs child. Will her marriage survive? What about her relationship with her older daughter who presents challenges of her own? Will Laura keep her sanity? What part will Laura’s stepbrother, Daniel, play in the events to unfold? And how does a cow angel fit into this dramatic journey? Having garnered nineteen separate awards and 139 reviews on Amazon, this book has taken wings of its own. Even though I don’t know Stepanie Collins personally, I am as proud of her as a mother who just watched her child ace a National Spelling Bee! 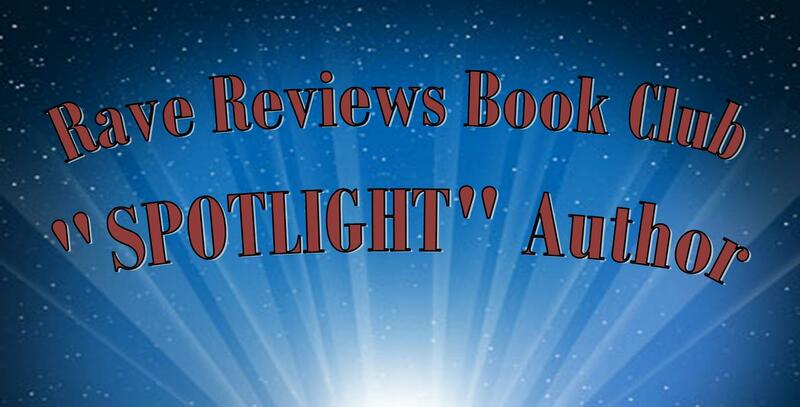 She shows her support of other authors by promoting their books, blogs, and events. She is the true face of what #RRBC and #RWISA stands for and it is my honor to promote her here today. She encourages young mothers around the globe not only with her book but with a blog where she regularly posts new updates. I invite you to take a look at her book trailer. I’m beginning a new series of posts I’ve entitled, “Stories From the Road.” Each week I will post a new story from Rick Sikes, a Texas musician who traveled the roads of Texas, Oklahoma, New Mexico and out to California for well over twenty years. With hours to pass in a van full of sweaty musicians, they found ways to entertain themselves. 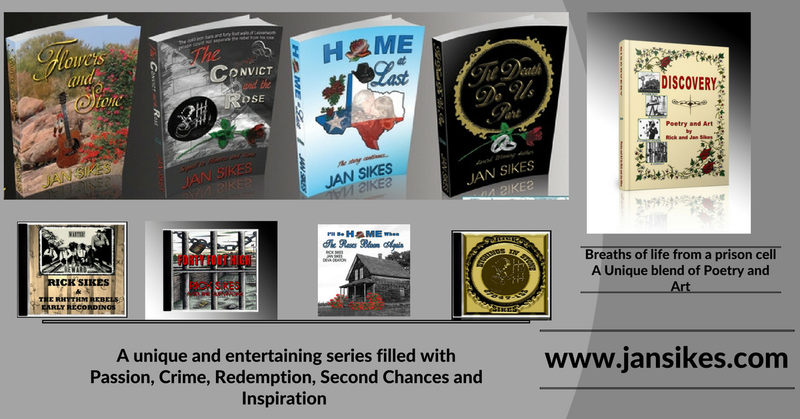 These stories are told in Rick Sikes’ words. I’ll do my best to correct grammar, but I want to keep them in his own voice. I returned from a trip into the heart of the Texas Hill Country with two new must-return-to destinations. The first is historic Salado, Texas and the Stagecoach Inn. Most of the north-south travel across Texas from 1860 to 1890 came through Salado, which was both a major stop along the famous Chisolm Trail as well as a Butterfield Stage lines stop. In 1861, one of the area’s first settlers erected the Shady Villa Hotel. Many varied and distinguished guests found food and rest here, including Sam Houston, General George Custer, Robert E. Lee, cattle barons Shanghai Pierce and Charles Goodnight and outlaws Sam Bass and Jesse James. Sam Houston stayed in this room which still has the original flooring and fireplace. If this ancient tree could talk! In 1943, the Shady Villa Motel, in disrepair and abandoned, received new life along with the new name The Stagecoach Inn. This walk down History Lane was one I’ll not soon forget. And, the food in The Stagecoach Inn restaurant was some of the best I’ve ever had. The small village of Comfort, Texas is nestled in the southern part of the Texas Hill Country. It has some of the most beautiful scenery to be found anywhere on the planet! Comfort has remained an unincorporated community since its founding by German immigrants known as The Freethinkers in the 1850’s. Some of the residents refer to it as a shire and others as a community but don’t dare call it a town or city. They are quick to correct you. The Historic Downtown district features authentic nineteenth-century German-style architecture. It is rich with history, arts of all kinds, delicious food and boasts not only a winery but a distillery. This was my first time to visit a distillery and the tour taught me a lot. What is different about this distillery? They make moonshine out of Prickly Pear Cactus. I had a Lemon Drop Martini made from this moonshine and it was delicious! Fascinating facts about the process of making high-quality hooch: Did you know that to make Gin, you must have Juniper Berries? Did you know you can distill wine and end up with a smooth-tasting high-octane liquor? Did you know you can make hooch out of cactus that is not Tequila? Well neither did I, but I learned all those things on the tour. Of course, I brought home a couple of bottles of the Prickly Pear Cactus Moonshine. The community of Comfort, Texas, the incredibly beautiful landscape rich with wildlife, and the friendly open spirit of its residents make it a return destination. I hope you enjoy this series, but before we get to the “road” stories, I want to go back a little farther to the beginning. I hope you’ll come back each week as I share some of the “Stories from the Road” with Rick Sikes and the Rhythm Rebels! Central Texas music artist, Sam Baker has released his fifth album, Land of Doubt, produced by Neilson Hubbard. What you’ll hear on Land of Doubt is stunning, beautifully arranged strains of chords and melodies with lyrics deeper than the roots of an old oak tree. Baker is well-known for surviving a violent terrorist attack in Peru in 1986. He suffered some hearing loss in the explosion but has defeated all obstacles to emerge as a respected songwriter and performer. Land of Doubt opens with simplistic yet complex guitar chords from Will Kimbrough on “Summer Wind.” I am immediately reminded of Willie Nelson’s style of intermingling guitar licks with meaningful lyrics. “The Silvered Moon” is a forty-eight second instrumental that begs for candlelight and a glass of wine. A tender love song, “Margaret” is a treasure. “Love Is Patient,” says so much on such a deep level. “She said, ‘Please come home’/It’s so late/I worry/I wait/Love is Patient/Love is Kind/Love is hard/Love is blind…” I was drawn by the sad refrains of “Leave,” as it tells Faith to leave because it’s squandered a man’s trust. More instrumentals, “Pastures Fit for Thoroughbreds” and “Song of Sunrise Birds” are incomparable music arrangements with Dan Mitchell on Trumpet. Only clever songwriters like Sam Baker and Mary Gauthier could compose lyrics about a girl with a drug addiction, and bring “Moses in the Reeds” into it. “Where Fallen Angels Go” is another exquisite instrumental that moves with an ebb and flow blending keys and strings that feature David Henry and Eamon McLoughlin. “Land of Doubt” ends this album with a culmination of every aspect of each song rolled into one. If you’re a fan of incredibly beautiful music and deep lyrics, you are sure to love this new album from Sam Baker. Visit http://www.sambakermusic.com for more! Hello, fellow Texas authors! I want to make you aware of, and invite you to, a Writing Symposium in Comfort, Texas September 14 – 16, 2017. I will be presenting two separate workshops at this event to be held at the Comfort Public Library. If you are anywhere near this area and wish to hone your writing skills through hands-on workshops, check this out. More information on location to follow. 1 PM How Many Ways Can You Say ____? Attendee Fees – Check options below for any discounts that may already be applied. Plus 1 Free book from a presenter of their choice.